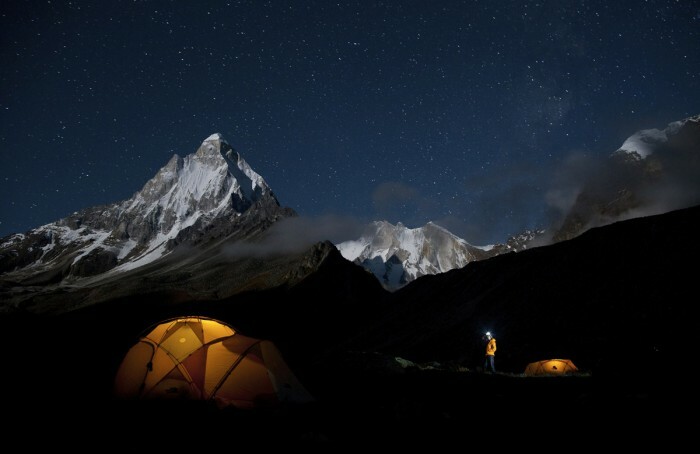 A near-fatal ski accident in 2011 left Renan Ozturk with shattered vertebrae, a cranial fracture, and the physical and psychological setbacks experienced by injured athletes across the spectrum. Here’s how he got back on the horse. As a pro climber and filmmaker, Renan Ozturk, 35, of Park City, Utah, plays at a higher level than most. But with high reward comes risk, and in 2011 he was nearly killed in a ski accident in Wyoming. The incident came just five months before Ozturk and climbers Jimmy Chin and Conrad Anker were to re-attempt the first ascent of Meru. 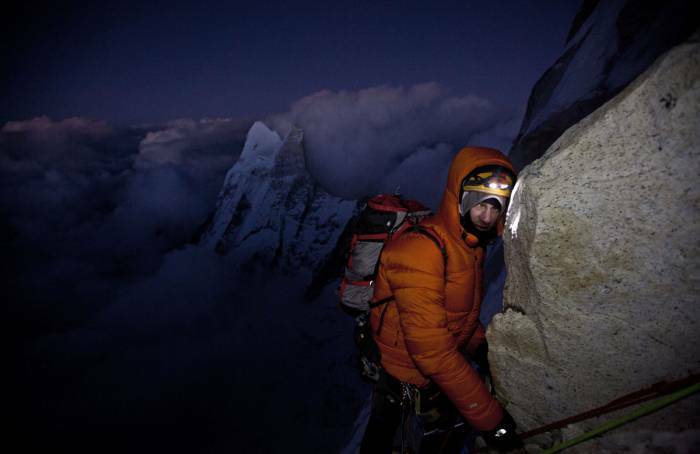 The accident, and climb, are chronicled in the film Meru, released this summer. What followed in the weeks and months after his ski crash was a clinic in determination, persistence, and the psychology of the driven outdoors athlete. We caught up with Ozturk to look at his approach to heal. How you get there depends on your style. And your style could determine how you deal with setbacks like injury. Ozturk’s free-flowing method may have helped him adapt when faced with those obstacles. When Ozturk hooked an edge in the Tetons and fell far enough to crush his skull and vertebrae, his first thought was that he didn’t want to slow down the video production in which he was taking part. “I thought, ‘let’s go,’ but that didn’t last very long before I went unconscious,” he said. In retrospect, injuries always seem stupid – you ignored pain, or committed to a turn you couldn’t make. It’s nice to prevent them, but if – when – they happen, take it as a lesson and do what is in your control to get back to health. Despite the seriousness of Ozturk’s injury, he was psychologically spurred along by the looming attempt on Meru; in effect, a full and speedy recovery was not a question for him. We don’t necessarily recommend that you plow ahead with your training if your life is at risk, but Ozturk’s determination is easy to admire; moreover, he leveraged his own certainty that he could recover, and made the climb his highest priority, to push himself through months of rehab and therapy in time to suit up with Chin and Anker. Even if you aren’t willing to die in order to finish that marathon, making it a priority can help you make it happen aside (and in spite of) other life pulls. “If you have that thing that’s really inspiring you, it’s amazing what you can do,” he continued. Spoiler alert: just months after the ski accident nearly killed him Ozturk summited Meru with Anker and Chin. He said the obstacles he overcame to get there – including his injury and the trio’s failed attempt in 2008 – made it a defining moment for him. Sometimes, an injury is really bad, and you might be left wondering whether your days of [insert your passion here] are over. Desperate, you might compromise, vowing never to take it for granted again, even if you aren’t able to resume the practice at full bore. It’s a lesson that can apply at all levels.